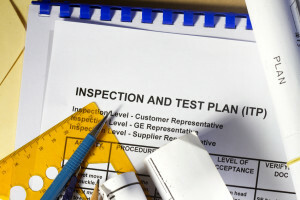 Third party inspections puts pressure on suppliers and gives strength to the buyer. As an independent expert I represent clients in inspections and acceptances for manufacturers and suppliers across Europe and around the world. I perform the inspections and acceptances according agreed plan control tests. As an independent expert will consider compliance of the product with the assignment. During these inspections and acceptances I use the experience that I gained in cooperation with Czech and foreign business partners on major international projects in the petrochemical industry and welded structures. I Perform acceptance both in welded structures, petrochemical industry, where I use my knowledge of the welding engineer and qualifications in NDT methods. During pre-production inspections I assess the readiness of the supplier to meet its obligations to customers – suitability of equipment, production capacity, personnel capabilities, the ability to buy in time,to buy correct material and components needed to produce (expediting audit). Inspections during production enables to confirm the quality of the product and recognize potential problems. It gives the customer an idea of the state of development and production, filling the timeschedules, ongoing quality etc .. These inspections include participation in pressure tests or supervision over key parts of the welding and NDT inspections. Final inspection – sometimes also called “pre-shipment inspection” – this is the most common type of inspection, which will consider the completeness and quality of the product before the product is shipped to the customer. May include NDT inspection of welds, checking documents, material certificates, etc ..
During all types of inspection and takeovers, I always aim for independence, impartiality and fairness. Of takeovers expose report and certify protocols as a third party, ie in accordance with EN 10204 “3.2”.